Whether small businesses or big corporations, we have a far achieved expertise and league to plan and execute events within the budgeted financial resources and timeline. Our passion, talent, and experience are broadly focused and highly skilled to grab each opportunity that makes it a successful message communication for your brand. 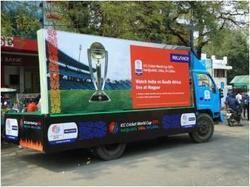 Engaged in providing services which includes road shows. We guarantee you a smooth flow of the event and create a spectacular show of complete value. We are involved in offering services of Road Shows Organizing Service to our most valued clients. 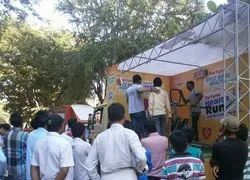 These Road Shows are mainly organize for promote the products. As a means of delivering successful business-to customer, business-to-business and internal communication campaigns, our Road Shows are a very cost-effective option. A successful corporate event must be carefully managed from the creation of the initial concept through to when the lights go up. Rigveda Consultancy & Services experience and processes ensure all strategic messages are delivered credibly and are understood by everyone in the audience. This type is used for promotional activities, the road show promotion design for any particular brand on a large scale within the reach of target customer for the awareness of any particular brand with attraction. We specialize in conceptualization and executing promotional and other related activities .